B U B B L E G A R M: IN THE GROOVE for Stereo Rose! IN THE GROOVE for Stereo Rose! I picked up 3 things. The 1st item was the much coveted 'Stereo Rose'. When I first saw it, I was like "oh, it doesn't look like anything special", it certainly didn't wow me as I am more a golden bronze type of person. I actually thought it looked unwearable and almost skipped it as I don't really like mineralised skin finishes as they can be too glittery. And then... I swatched it! I expected it to be a muddy red colour for some reason as I had seen so many conflicting swatches online. It's a pale coral with pink and rose undertones with a golden hue. It has no glitter, but swatches with a nice sheen. It's SO pretty, I am in LOVE! It almost looks like it has a duo chrome finish but it doesn't. I tried it on straight away and loved it, I put some on my mum too who is paler than me and it also looked great on her. I'm sure this would look amazing on even darker skin too. I would wear this as a straight up blush or highlighter! The colour reminds me of 'Sun and Moon' blush that I picked up from the Too Fabulous collection. It's NOT the same colour, but the undertones are similar. Stereo rose is paler, and doesn't have the tiny flecks of glitter that Sun & Moon has. I also picked up 2 lip products. 'Jazzed' cremesheen lipstick and 'On the scene' cremesheen glass. Jazzed is a pretty milky coral with a slight pink undertone, it has no sparkles and feels moisturising but I found the application a little bit streaky but I can live with it. The colour is most similar to Mac's 'Pink Lemonade' lipglass. I have been informed that it's similar to Ever Hip which I missed out on but may be getting it in a swap *yay*. 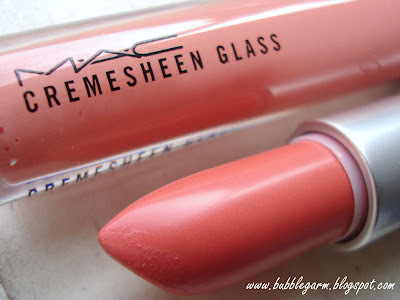 On the scene is a gorgeous pale milky coral with a beige undertone, I have never tried the cremesheen glosses before and I can't believe I have been missing out, the formula is so beautiful, smooth and not sticky at all. I also wanted to pick up 'Fashion whim' gloss but it looked too similar to Underage. Yep, I can justify the lip products. What are you picking up from In the Groove? i ordered petticoat msf, now i really really wish i had the money to get stereo rose too! I want all the MSF and the lipsticks!! Woah! @Kat By candlelight looked so pretty too! I might check this out tomorrow. I'm intrigued by Petticoat MSF. 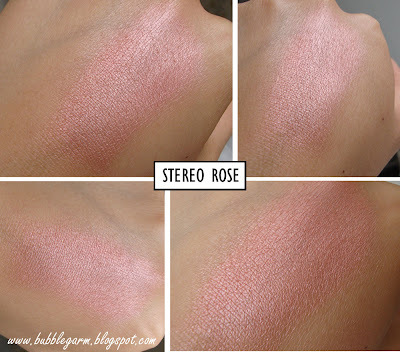 Stereo Rose is my favourite MAC product ever and that is saying something! I bought a couple of back ups to add to the one i already have from the original release. I was so scared of using the one up i aready had but now i need not worry! Glad you love it! Nice picks I have yet to decide. The lipstick looks great. LOL mee tooooo! I got stereo rose! I've ordered Stereo Rose and By Candlelight online, your swatches are reassuring me that I made the right decision getting Stereo Rose so thank you! gorgeous! I dont own much MAC products but im planning to change all that one week from now when this collection is released in canada :D Im dying to pick up stereo rose and petticoat! and now from your swatches, i want on the scene too :D thank youu! On The Scene is SO pretty! I have been on the fence about Jazzed, but that's because I'm a wuss when it comes to wearing bolder lip colors. LOL! It's really nice, though. I've definitely had a change of heart! 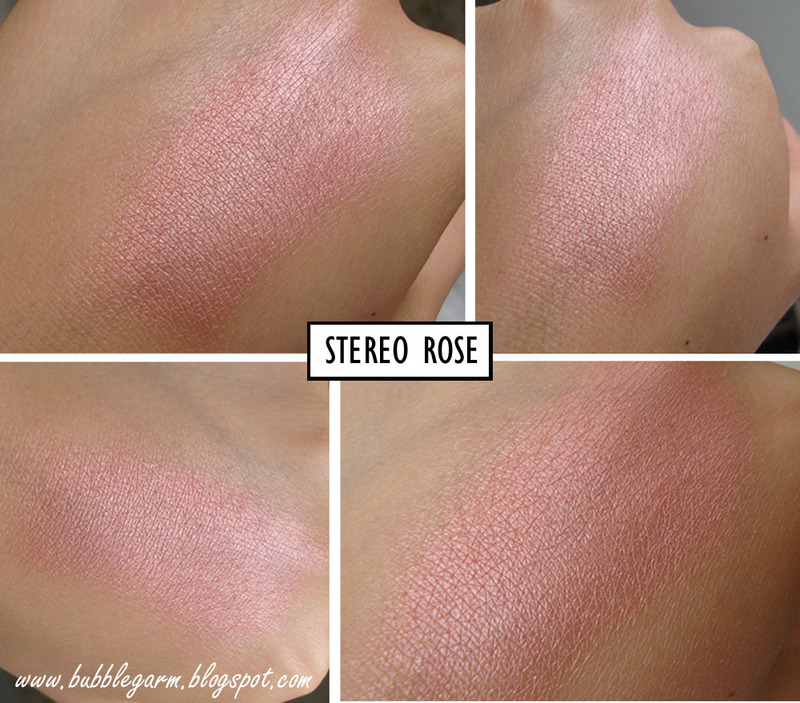 Stereo Rose looks so pretty!I was planning to get Petticoat,but after seeing a lot of swatches of all MSFs I really wanna get Stereo Rose instead.Can't wait for the collection to be available here in Germany.Even though MAC confirmed it would be today,its not.And another Onlineshop had it up,but took it back down until next week.I was only able to order Jazzed before that,I hope I get it. I picked up Stereo Rose and was really considering Jazzed but decided to wait. I've already got By Candlelight. oh wow...I CANNOT wait till this launches in the USA! One more week! First thing I'm going to get is Stereo Rose. And maybe Jazzed lipstick because I too missed out on Ever Hip =) This is the first time I'm actually making it a point to go on the first day of a collection release by MAC! Thx for lovely swatches! Oh no! 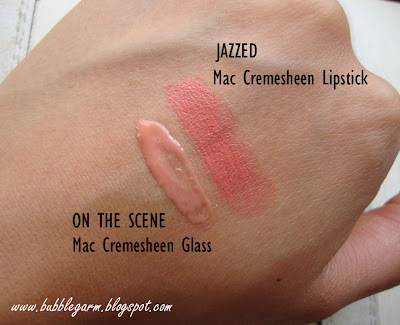 I'd planned on only getting Stereo Rose and Petticoat but now I want Jazzed and On the Scene too! What's a girl to do? 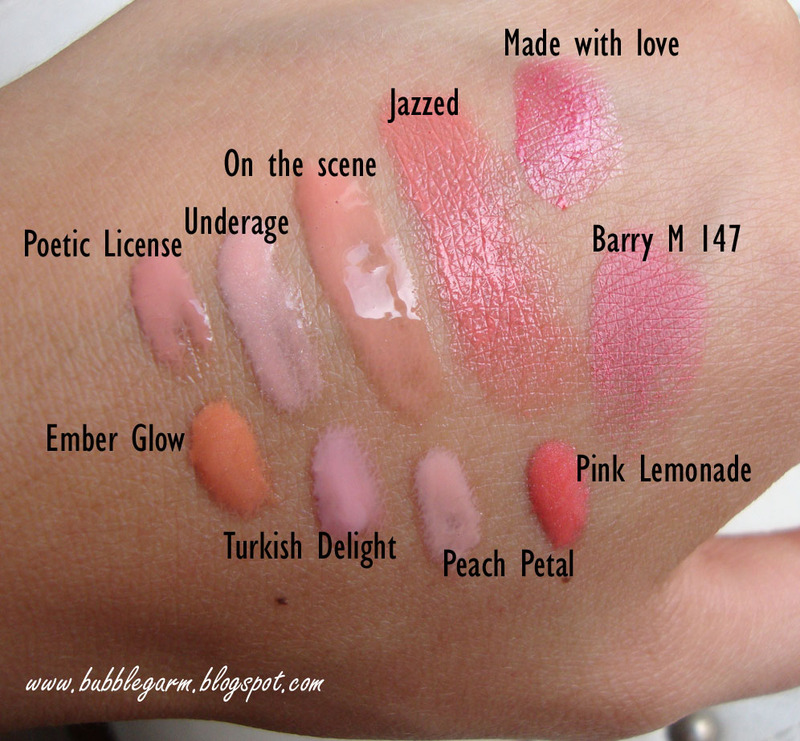 I am charmed with it the swatches that you show in your blog!! I am charmed with the Stereo Rose and the by Candlelight:D of the new collection. I follow you from Spain!! great haul. 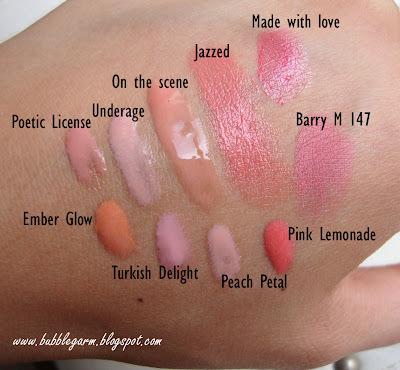 great swatches - i love them all! Stereo Rose is such a GORGEOUS colour!!! I can't wait for it to be launched in Australia. Jazzed look really pretty too! !